A modern day quartet known for their unique, rollicking mix of R&B, jazz, soul, and 60s-era rock. 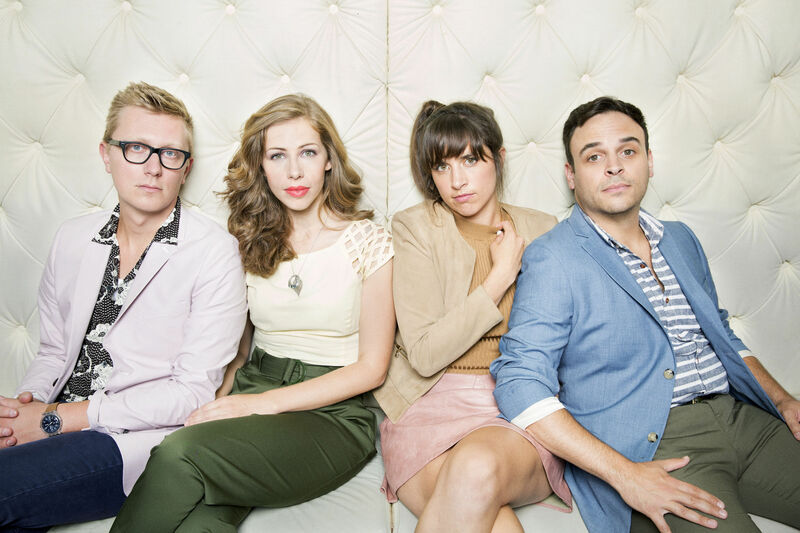 Lake Street Dive is a modern day quartet that weaves R&B, jazz, soul, and 60s-era rock into a unique, rollicking mix. Known for their exhilarating live performances, singer Rachael Price, drummer Mike Calabrese, bassist Bridget Kearney, and trumpet-playing guitarist Mike "McDuck" Olson first met and formed at Boston's New England Conservatory playing avant-garde country in 2004. It wasn't long till the group's natural pop instincts kicked in and took them in a different direction—one that has charmed critics and audiences alike. Thirteen years and one extremely popular YouTube video of them covering Michael Jackson's "I Want You Back" later, the band is now five albums deep and currently riding high on the success of Side Pony, which was released on Nonesuch Records last year. The album's arrangements offer a knowing nod to the past while the lyrics tackle the pitfalls of modern romance in a manner that’s often more playful than rueful. And Price’s vocals have a teasing swagger to them. Neither her heart nor her hairstyle will be messed with. Based on their sold out performance at Radio City Music Hall last year, we expect a great turn out and a fantastic, fun show for this year’s opening night. For info on the Opening Night Gala honoring Chris Sheehan click here. Friends Check-In: On opening night, Friends Members will check in at the rear gate. Enter the park at 9th Street, follow the path to the left, and look for signs that say Friends Check-In. Please have your member card handy to get access. All other audience members will check in at 11th Street. Friends Seating: There is no Friends Member seating on opening night due to the Opening Night Gala fundraiser. General admission seating will be available on a first-come basis. Friends Tent: The Friends Tent is closed to members during the opening night concert due to the Opening Night Gala fundraiser, but Tent-level members are invited to the After Party in the Friends Tent following the show.